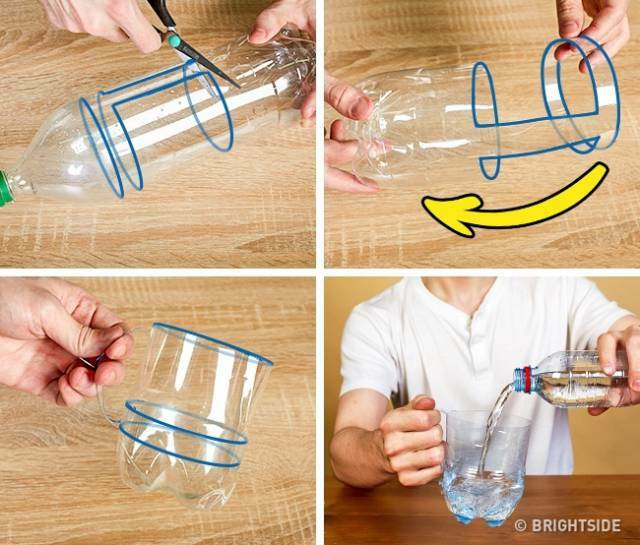 How to make it: Take a 2-liter plastic bottle, and cut it open as shown in the photograph above. You’ll end up with a ring that you need to bend downward and attach to the base. You can make a simple mug like this in just 5 minutes.